I don’t think a week passes without me thinking of decamping to the country. 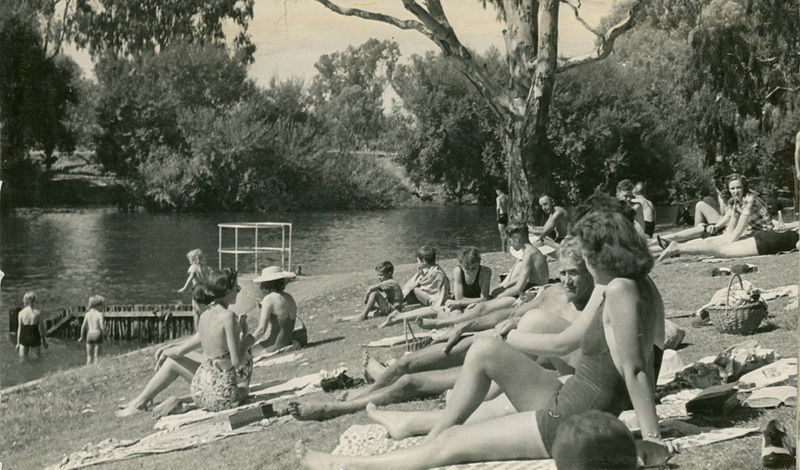 I remember my first open air painting at Noreuil Park on the Murray River in Albury. I was pretty excited with the outcome. Just for the heck of it here is a photo of Noreuil Park c 1950s. And here are the Box Hill boys having a good old time preparing to paint up a storm in the outdoors. Tom Roberts captures the bush in all its grey/green beauty. Pretty little picture. It’s idyllic. It seems safe. Roberts, McCubbin and Streeton would escape to Box Hill on the weekend. It wasn’t too far and they could catch a train. 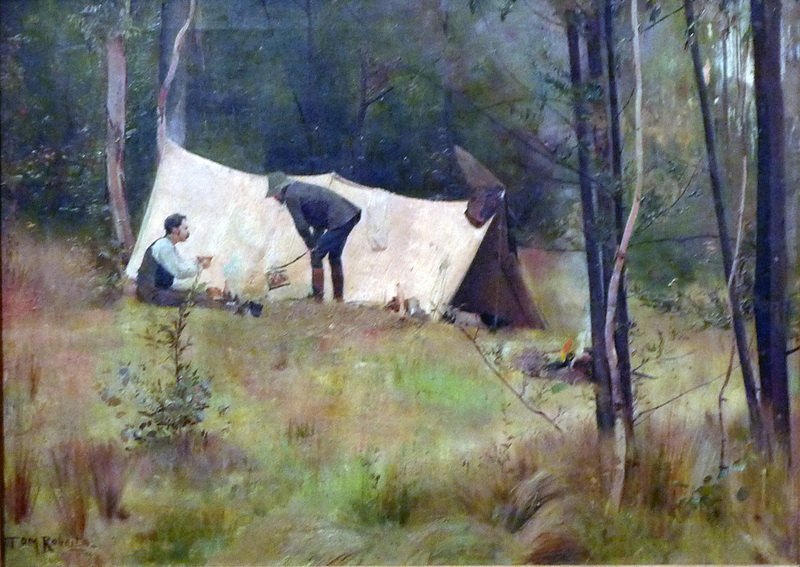 Tom Roberts’ sentimental poem captures these manly expeditions into the outskirts of Melbourne. I like the painting technique of the landscape. I don’t think much of the tent. And the figures seem a bit awkward to me. Actually I don’t think I like this painting very much.